Video games…in the library? The very idea can seem completely alien. You might say to yourself: “Libraries are just for books, entertaining or educational programs, and computers that can be used for the checking of one’s email account! ", but it turns out there’s plenty of room for gaming here (and a whole lot more). 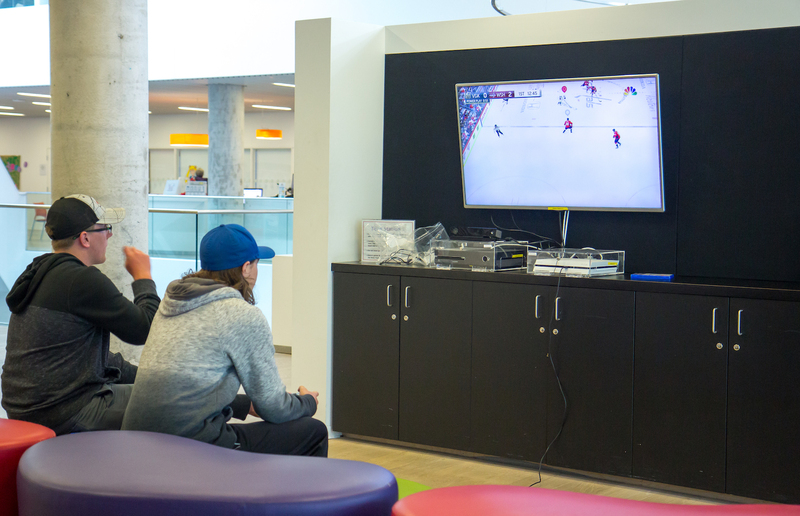 At many branches of Halifax Public Libraries, you will find gaming consoles and games that are available for use by all patrons ages 19 and under. Some of our libraries have Xbox One systems, some have PlayStation 4s, and some (like Central Library) have both! Visit or call your branch to find out more. While you can’t bring your own games in, and you can’t take the games home with you, each library has a healthy selection of age-appropriate titles. Aside from just giving your thumbs a workout; there are a few other benefits these games can provide. 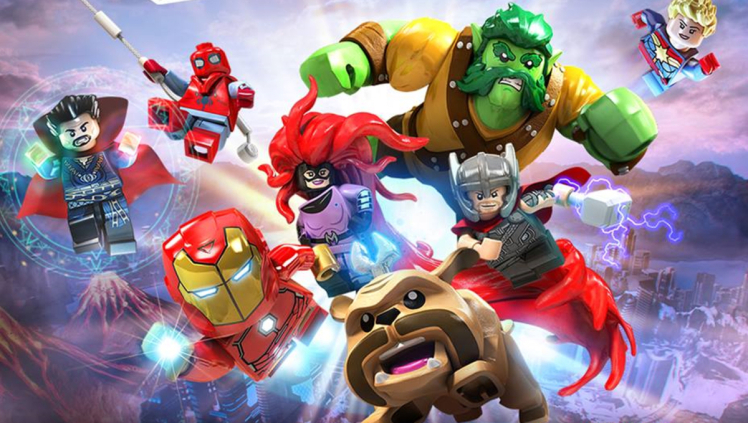 Whether by playing on the same team in the newest NHL hockey game, or fighting super villains in LEGO Marvel Superheroes, you can work together with other players to overcome challenges through cooperation. Games like Minecraft can allow your imagination to run wild. Explore a huge open world and build almost anything you can dream of (until sadly, it all gets blown up by a Creeper). Injustice 2 is a 1-on-1 fighting game where you can do battle as your favourite DC Comics superheroes and villains (Captain Cold is the best in this writer’s honest opinion). Some libraries even have tournaments where teen patrons can show off their skills and engage in friendly competition. Games can even promote physical activity. The Just Dance series will get you out of your chair and grooving (or attempting to groove). Let your inhibitions go, and have a blast! The most important thing to remember if you want to get started with video gaming at your local branch, is to bring your library card. Games and controllers will be checked out under your account, and you will be responsible for bringing them back to a staff member when you are done. Don’t have a library card yet? Learn how to register. Also, if you are between the ages of 12-18, you can apply to become a volunteer with Halifax Public Libraries. Some branches like Central Library even have positions for video game assistants. You will be able to use your gaming skills to assist and interact with other youth gamers. We are always changing to work to reflect the needs and interests of our users, and the introduction of video games is just another step forward in making sure there is something here for everyone.